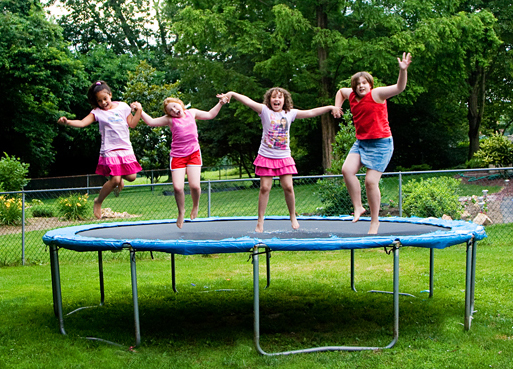 Use of trampolines and bouncy castles (inflatable play structures) are becoming increasingly popular at people's homes. While children enjoy playing on these products, using them incorrectly can cause injuries. 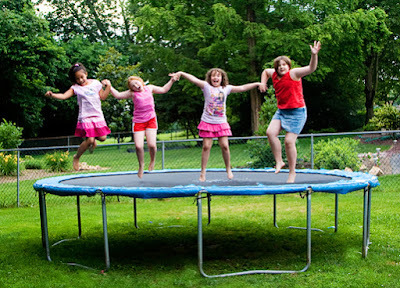 Injuries from trampolines and bouncy castles range from bruises, sprains, and broken bones, to more serious injuries such as skull fractures. Most of the injuries result from improper or unsupervised use.